Love is in the air here at Array! We’re gearing up for a holiday filled with candy, flowers, and babysitters, with a nice dinner on the side: it’s Valentines Day! Love comes in many different forms and our team is filled with different ideas of what love means to them. Cathy: “A date night with my husband – those are hard to come by with the baby! Or maybe just a full, uninterrupted night of sleep! Grab the popcorn & wine, and hope for a happy ending – It’s our favorite Rom-Com movies! Matt: “*opens wallet to show off cats* << Yea, it’s that serious. Whether you’re indulging in a romantic dinner or trying to dodge the kids for a night. We hope you have a great weekend with your loved ones. 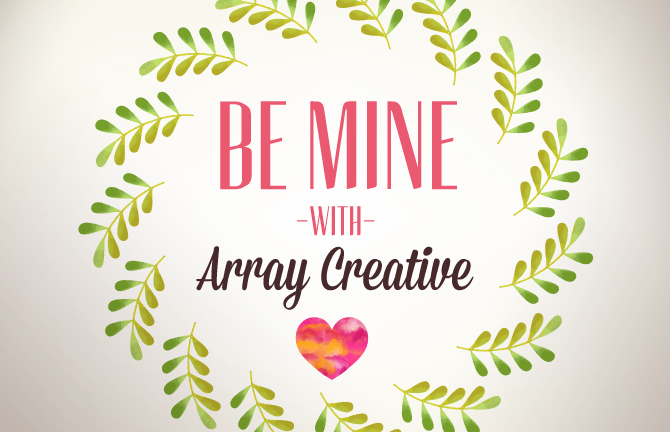 From our family to yours – Happy Valentine’s Day from Array!